If you want to ring in some holiday cheer outside the house in Charleston, then you can always go to the ritzy hotel bars for a nice cocktail or a beer in (gasp!) a glass. 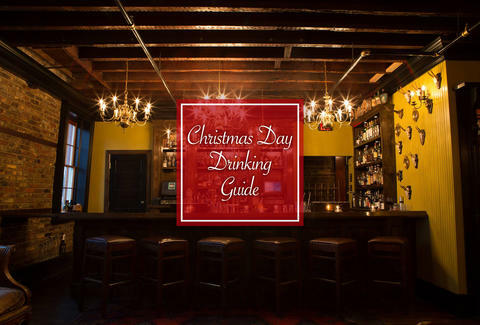 But we know you like options, so when you just can’t take another “12 Days of Christmas” round robin at the piano, here’s a list of 10 good old-fashioned bars that don’t require you to know how many hens are a layin’. Go old-school Charleston in the evening with a boozy Manhattan at this whiskey bar and listen to some soft jazz in the heart of the tourist district. Nah, there’s never a reason to close AC’s (for deep cleaning or otherwise) so your favorite dive bar will welcome you with open arms starting at 4pm. If you fear that the eggnog will dull your palate from tasting Centennial hops and the coffee finish of your favorite beer, then keep your taste buds sharp with the bevy of beers at Craftsmen, opening at 4pm. You know what's a great way to enjoy family time? Random Trivial Pursuit questions you pull out of a pint glass, or another board game from the Gene’s arsenal. One of the best beer selections in Charleston helps too. Opens at 6:30. You know the drill. 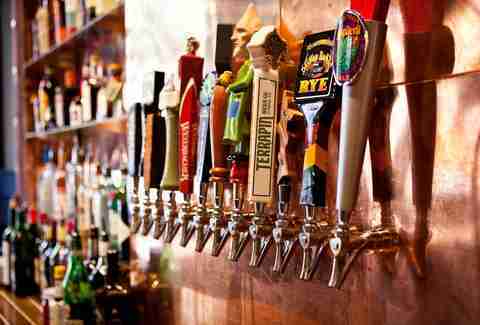 If you’re in the ’hood and don’t want to drive far, Hunley’s has your barstool waiting. $2.50 well drinks will be your reward for bellying up at 5pm or anytime after. 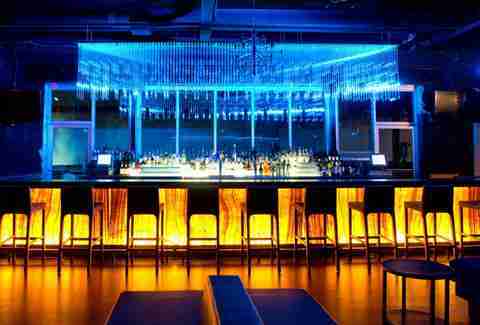 A day without bottle service is no holiday. Thankfully you won’t have to know that feeling since Republic opens at 4pm. No need to go without a PBR for one day. Wax up those ‘staches boys, and pull up those knee socks girls, and both of you hipsters make sure and wear some fingerless gloves -- it’s cold out there. Opens as usual at 4 pm. It’s not a speakeasy but booze is a flowin’ and the times are good in Downtown Summerville. Spin the wheel for prizes (Thrillist does not promise prizes are in any way good, but hey, prizes!). The fun starts at noon. Ham leftovers? You don’t need no stinkin’ ham leftovers when there’s wings, beer, flat-screen TVs, and crispy French fries starting at 5 pm. If watching all those parades while listening to the details of Uncle Gene’s gallbladder procedure has made you antsy, work off some steam with a game of ping-pong or pool with a pint at this neighborhood joint. This place is not sure exactly when in the afternoon it's opening, but it will be open, so call for specifics. Stephanie Burt is a contributor for Thrillist and food writer doesn’t let a holiday stop her from exploring Charleston. Find her and her opinions at @beehivesteph.